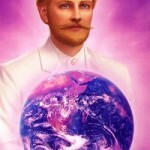 An Ascension Mastery message from MASTER THOTH as transmitted by Rev. Christine Meleriessee to assist individuals in understanding the elements involved in the accessing of Divine Compensation (gifts, blessings, etc). I AM Master Thoth; I am here in this moment to share some very important elements about how our lives change in the physical body when an individual is able to fully actualize their higher consciousness. In order to receive the benefits available within the God Consciousness, each person needs to allow this energy to become them. This then creates elements to be very flowing and synchronous, “being in the right moment at the right time”. Another term may be “Walking through the Magic of Life”. Did you ever have an experience in which everything you thought was created in a positive manner and then was created in your experience on the physical level? I hope so. This does not just happen by chance. It is the working within the Laws of the Universe through the physical existence. The Laws represent important step-by-step considerations that are important for an individual to master within their life. They are created by the essence of the Source of Light so that humans would be able to see physically what they are creating from their Higher Essence. What happens within this rule is that if an individual is not allowing their God Consciousness to be part of their reality, then they are acting and reacting through the Mental Mind and not the Spiritual Mind. What has happened through the ages upon this earth, each person has incarnated at least 200-300 times and in many case, several hundreds of years more. So when a soul has forgotten that he or she is part of a higher purpose, than the way of experiencing life comes from the lower forces and not the higher. This creates the Law of Karma to be working through that soul time and time again until finally the physical self awakens to the possibility of eternal life. Now a soul can have attained the ability to realize their soul’s purpose in small increments but may not have the availability to walk through the doorway of allowing the Higher Self to have more control within the physical existence. This does not happen until a person awakens to their own inner truth, “the realization that they are a Spirit of Light, a Child of God, or an Awakened Angel”. It does not matter what the term represents to the person. The main point is that the individual within their awakened consciousness starts to realize that they have a purpose within their life and can be in total control of all circumstances that occurs to them. This is quite a huge step for humanity to realize these elements. Until a soul awakens to the Mastery Pathway they do not realize the potential they have within themselves to create elements for the betterment of their experiences. The same is true for someone who is realizing that they are experiencing “bad luck”, but yet we all know that luck does not play into the game of life on Earth. It is truly about what you believe your reality is, how to change that reality, and then see the ensuing results occur. It is within the process of the sixth Law of Compensation that a person can start to realize that they are being blessed by what they have been thinking, and doing. Now if an individual receives the opposite result, they may not understand why they are experiencing great pain and struggle. It is when a person understands how karma works, utilizing the laws of vibration and action, that they can change their thoughts within the sub-conscious mind; thereby, the end result would come as a gift or blessing. As an initiate realizes the potential of Creating Their Own Reality, they also see the blessings of how the energies are created within their life situation. It is a beautiful thing to see how it all plays out in the grand scheme within one’s consciousness into a physical reality. In order for an initiate, or student of Mastery, to realize the potential they have to create better life experiences, they must realize when they are exhibiting the lower elements. This takes great diligence as a person has to be very conscious and aware of the reality that they are living. In order to walk through the doorway in which life becomes very synchronous, an individual must address their life from the perspective of their decisions, habits, beliefs, values, emotions, psychological programming and rules, behaviors and actions. All of these elements are crucial in understanding and addressing an individual’s life experience from the perspective of the Higher Mind and not the Lower Mind. This may take some time to be able to understand when the lower thoughts and emotions are taking precedence in any given situation. Then, the initiate must utilize tools to help themselves by changing their attitude into a positive and higher element of awareness. Within this process an individual must go back to the previous laws of Oneness, Vibration, Action, Correspondence, and Cause and Effect to see where there may still issues that are not stepping into the higher vibrational thoughts and emotions. It is also very important to realize within one’s personal consciousness, how the thoughts are creating the thought process to be ignited into the outside world. When an individual experiences the ability to move through an experience that previously was not honored within the Law of Compensation, is truly when there is a moment of realization of how far you have come. It is important to understand and to see how these experiences are manifested within the outside world. The other side of this understanding would be to have the realization that when a blessing occurred to you, then you are actually stepping into the wonderment of the Law of Compensation. It may be a conversation, receiving a special gift like a parking space in a crowded shopping center. It can be a simple creative process that occurs. It is important to realize the potential that you have as a human and a soul to change your circumstances at any given moment. The important thought would be is how often can you do it. When you see it happening quite frequently, it allows you to embrace the work you have been doing as the Universe is supporting you in your endeavors. As I said before, it is all about the awareness of any given situation. You must know who you are, what you are doing, and why you are experiencing that moment in time. That can be the best blessing of all. Learning more about whom you are becoming and then seeing the end-result can be a very enriching and powerful experience. 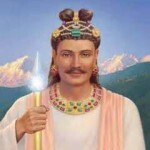 Walking Terra Christa will be hosting their monthly teaching of the Universal Laws with Master Thoth on Saturday June 25, 2016 (Audio MP3 available). The second segment of the class will be brought forth by the Elohim Masters as they take us through the Steps of Precipitation to truly bring forth the Law of Compensation. To join this class, please click here.